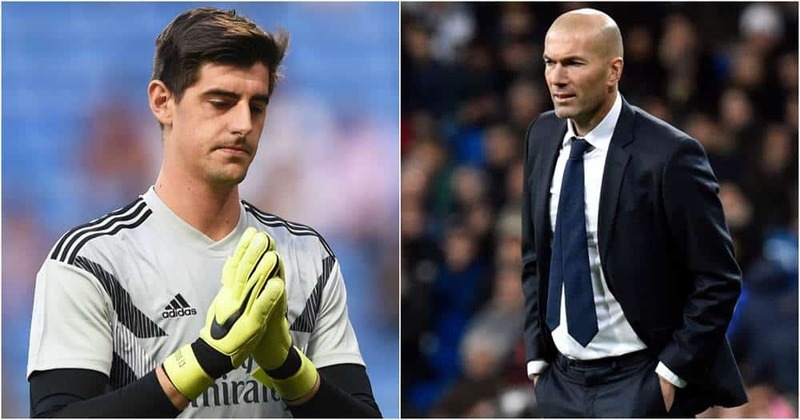 Zinedine Zidane has hinted that Thibaut Courtois could be sold this summer after admitting there will be “no debate” about Real Madrid’s goalkeeper next season. Former Chelsea man was dropped by Zidane for his first game back in charge against Celta Vigo, while the Belgian also missed Sunday’s win over Huesca due to injury. Zidane played his son, Luca. Zidane fuelled speculation during his press conference on Tuesday, saying: ‘I assure you that next year there will be no debate about the goalkeeper.